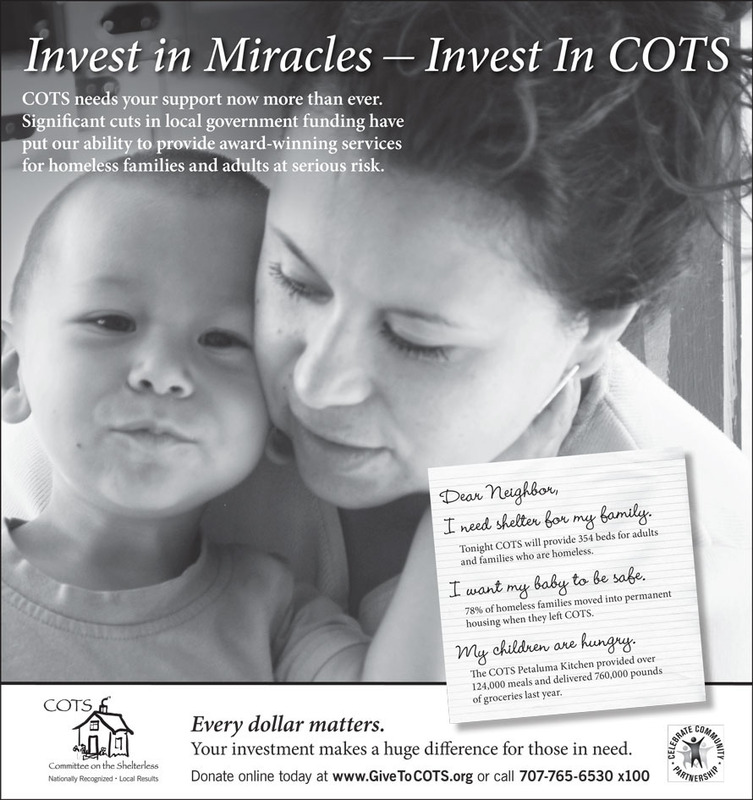 Invest in Miracles — Invest in COTS. The Committee On The Shelterless (COTS), a local nonprofit focused on services to homeless individuals and families needed a newspaper based campaign for their annual giving drive. So we went and looked upon the face of homelessness in our community. COTS needs your support now more than ever. Significant cuts in local government funding have put our ability to provide award-winning services for families and adults at serious risk. "Dear neighbor, I need shelter for my family"
Tonight COTS will provide 354 beds for adults and families who are homeless. "I want my baby to be safe." 78% of homeless families moved into permanent housing when they left COTS. The COTS Petaluma Kitchen provided over 124,000 meals and delivered 760,00 pounds of groceries last year. 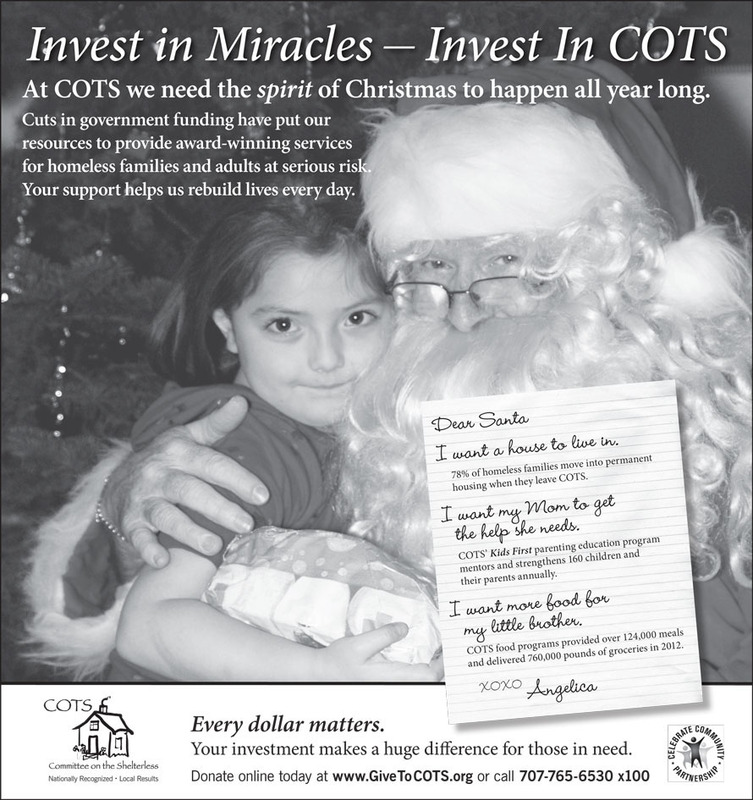 At COTS we need the spirit of Christmas to happen all year long. Cuts in government funding have put our resources to provide award-winning services for homeless families and adults at serious risk. Your support helps us rebuild lives every day. "I want mom to get the help she needs"
COTS Kids First parenting education program mentors and strengthens 160 children and their parents annually. I want more food for my little brother"
COTS food programs provided over 124,000 meals and delivered 760,000 pounds of groceries in 2012.